One Boston-based software company built a gold mine, then nearly shut it down. They had nurtured a modest online self-service product (priced starting at $99 per month) and planned to discontinue it so they could focus on going after the more profitable enterprise segment, which had ACV’s north of $20k. At first glance, the decision to shut down self-service looked sound: it brought in only 5% of their annual revenue, operated at negligible profitability and could hinder negotiations for enterprise deals. When the GM investigated more closely, she noticed something unexpected. Many of the company’s largest and most profitable enterprise customers actually started with the self-service product. These customers had wanted a frictionless proof of concept for a team or department to use before rolling out the solution across the entire enterprise. If it had not been for the self-service product, these customers would have selected a competitor, and likely stayed there. In fact, 15% of the software company’s annual revenue was effectively from product qualified leads (PQL’s), customers who started on self-service, but exhausted the functionality and upgraded to enterprise. 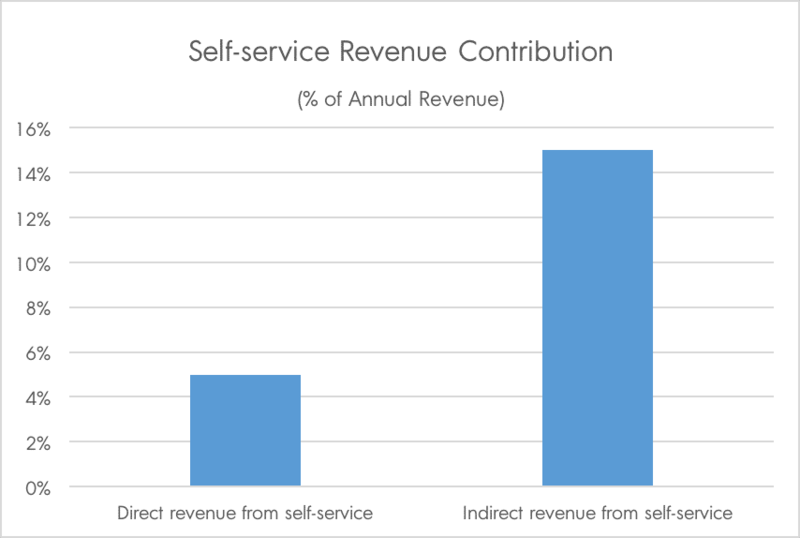 The indirect revenue from these PQL’s was three times the direct revenue the self-service product brought in. And self-service was not even built with this goal in mind! The GM quickly changed course – the team shouldn’t kill self-service, they should replace it. She set out to build a new self-service product with a clear focus on becoming a self-funding product qualified lead engine. This Boston-based software company was not alone in wanting to kill self-service. The conventional wisdom calls for software companies that sell into large enterprises to build out a field sales motion and to push the field sales team toward large opportunities. That way, each opportunity has a solid chance of recovering the related customer acquisition costs and sustaining a healthy payback period, a crucial metric for attracting venture funding. The 2013 Pacific Crest SaaS Survey, which included responses from 155 SaaS companies, adds stats to this conventional wisdom. It found that 70% of software companies with $25k-$100k in initial ACV relied primarily on field sales to drive customer acquisition, as did 92% of software companies with $100-$250k in initial ACV. Software companies with lower initial ACV, on the other hand, went to market primarily through inside sales ($5k-$25k) or online distribution (<$5k). Yet, the field sales motion comes with roadblocks to rapidly scaling a startup software business: it is expensive, restrictive and slow. Expensive: That same Pacific Crest survey found that field sales companies spend $0.96 for each dollar of initial ACV from a new customer, while online distribution companies spend only $0.55. Restrictive: This sales motion attracts only a small portion of prospective customers – sophisticated buyers ready to make an enterprise purchase. These prospects are most likely familiar with the market landscape and will involve procurement in the process. Slow: It takes significant time and resources for the field sales team to reach out to enterprise buyers, schedule initial meetings, go on-site to demo the product and negotiate back and forth. Creating a PQL engine, on the other hand, will help attract a wider set of prospects and build up a base of high-conversion enterprise leads for the field sales team to call on. Several enterprise-focused software companies, including Lynda.com and Optimizely, have successfully incorporated PQL engines into their portfolio to broaden their reach and accelerate sales velocity. These PQL engine products come with a robust feature set at an attractive starting price, but they have usage restrictions to limit cannibalization risk. 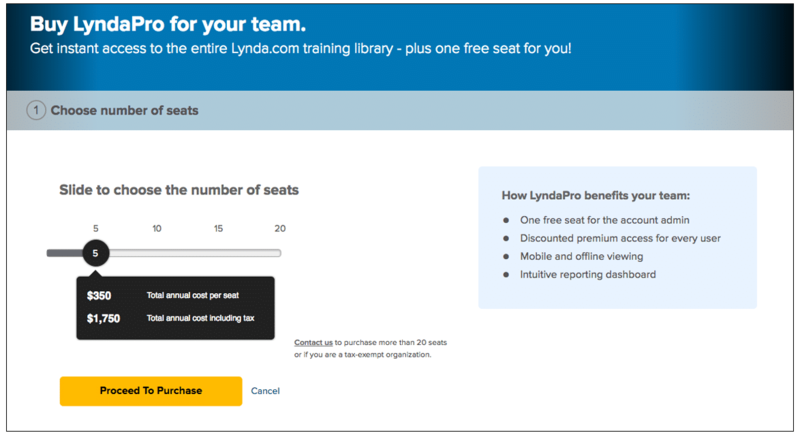 Lynda.com, the on-demand training provider acquired by LinkedIn, aims their PQL engine at small teams within Fortune 1000 companies. The product includes full access to Lynda.com’s training library, a reporting dashboard and account administrative controls, and it can be bought online for up to 20 seats at a time. When a company hits the 20 seat limit or has multiple teams simultaneously using Lynda.com, it triggers an opportunity for the sales team to pitch an enterprise-wide deal to HR leadership. The enterprise product comes with comparable features to the PQL one, but covers all employees in an organization and includes a handful of enterprise-specific features like single sign-on, integrations and more detailed reporting. This sales motion has enabled Lynda.com to gain numerous internal champions and momentum within Fortune 1000 companies, and then eventually kick out incumbent learning solutions. 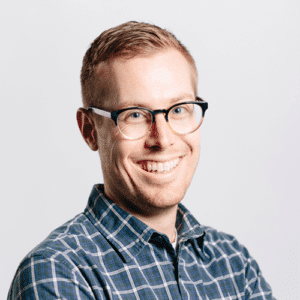 Optimizely, the A/B testing and personalization platform, has similarly introduced a PQL engine to generate a paying lead funnel for their enterprise product. Until recently, Optimizely had only two versions of their testing solution, a free Starter version and a customized enterprise version. Then, they added a middle tier PQL engine that offers full enterprise-grade functionality, but at a much lower starting price point and with a $500 credit to get started. 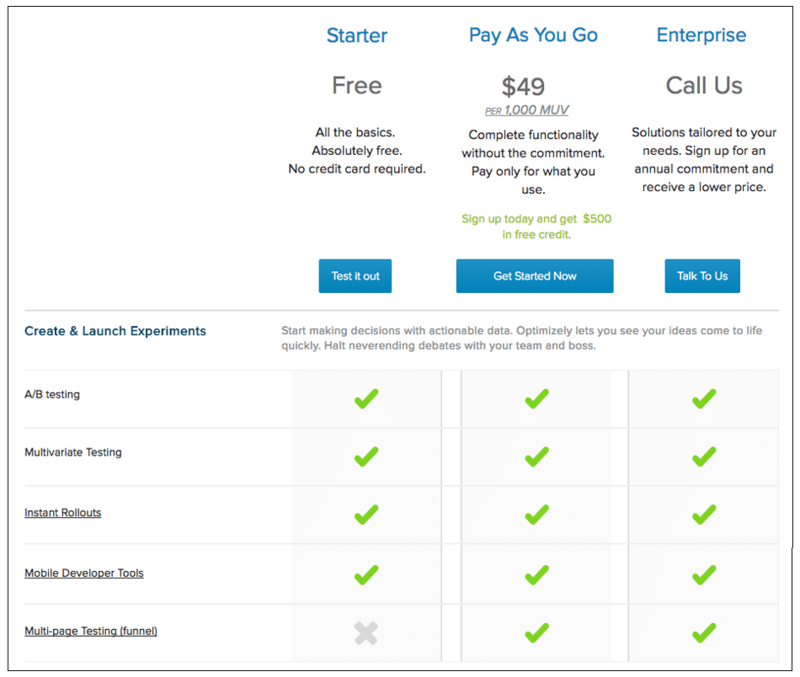 The PQL pricing is completely “pay as you go” and the price scales as the customer rolls out Optimizely across more pages on their website, thereby increasing the monthly unique visitors (MUV’s) exposed to experiments. Once the usage of Optimizely hits a certain threshold, the customer becomes a warm lead for the sales team to pitch an enterprise deal and secure an annual commitment. The customer is incentivized to commit to the enterprise contract by the benefits of budget certainty and a lower price per thousand MUV’s. Market segmentation: Understand the distinct segments and buyer personas in the market, and prioritize which one(s) to target with this new product. Ensure that there is a sizeable enough addressable market opportunity worth pursuing with this introduction. Voice of customer insights: Root the product design and feature set in a deep understanding of needs among both prospects and customers. It is especially important to identify the features and amount of usage that prospects are willing to give up, but that existing customers could not do without. Usage analysis: Look carefully at usage data among the customer base to set appropriate usage caps or thresholds on the PQL engine so that it does become overly appealing to existing enterprise customers. Online sales dialog: Build an online sales dialog and checkout process that enable a frictionless purchase. For many software companies, this entails introducing payment by credit card, monthly recurring billing options, click through agreements and automated onboarding. Margin analysis: Run the numbers to confirm that the PQL engine will have at least break-even profitability. It does not need to be a profit driver on its own, but there should be enough margin that it can fund itself and sufficient demand gen investments. Sales alignment: Align the sales and customer success teams to operate in this new model, and remove any barriers to the PQL product adoption. For instance, onboarding support for the PQL product should set the stage for the eventual enterprise sale, rather than just training the customer on the product they initially bought. If you plan to test some of these ideas, we’d love to hear from you and learn about your results!